Medicaid is a key target market for CPESN® networks and the enhanced services that CPESN pharmacies offer. 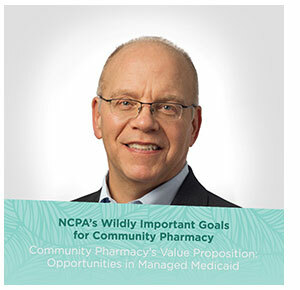 At NCPA's upcoming Multiple Locations Conference, Dr. Craig Thiele, a former managed care chief medical officer and health care executive will offer strategies on how to approach this marketplace – and how being a part of a CPESN network can boost your ability to meet these payers' needs and get community pharmacies recognized for the value you bring. It's Feb. 28 – March 2 in sunny Clearwater, Fla. Time's a'wasting. Register now.